Credit cards are great. They allow us to quickly and easily buy the things we want and need in life. They offer excellent protection from fraudulent merchants, Internet scammers and other credit card criminals. Moreover, most credit cards in the American market offer very generous rewards programs, and all you have to do to take advantage is keep your credit score high so as to maximize the odds that your credit card application will be approved. Besides, who wants to carry huge wads of cash around every day? Of course, there's a dark side to the credit card industry. Certain banks try to take advantage of both credit worthy and not-so-credit worthy consumers with abusive terms and conditions. Policies like Universal Default, out-of-the-blue credit line decreases and interest rate increases, double-cycle billing and, with regard to balance transfer offers, applying payments to low interest credit card-debt first. According to a recent CommonDreams.org press release, American credit card consumers are sick of unfair terms and conditions, and they're pushing the Fed to implement new rules sooner rather than later. 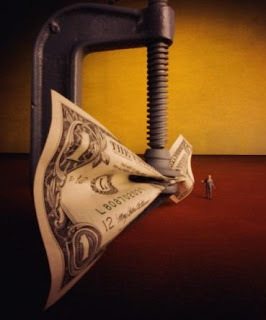 ...Angry consumers have deluged the Federal Reserve Board’s public comment system with more than 12,000 personal pleas for reform since banking regulators invited comments on a proposed new rule to curb unfair and deceptive credit card charges. In addition, about 19,000 more Americans have sent form letters urging action since banking regulators proposed the rules on May 2, 2008. The deadline for public comments on the proposal is August 4, 2008. • Costly and Unjustified Interest Rate Increases. Credit card companies could no longer charge higher interest rates on balances incurred before a rate increase went into effect, unless the cardholder is more than 30 days late in paying his or her credit card bill. • Hidden Payment Allocation Methods that Cause Debt to Escalate. Card issuers would be required to more fairly apply the payments that cardholders make to balances with different interest rates. When consumers transfer balances with low, short-term 'teaser' rates (that have higher rates for new purchases), issuers would be required to apply payments first to higher rate debt. • Interest Charges on Paid Debt. Companies could not use 'double cycle billing,' which requires cardholders to pay interest on debts paid off the previous month during the grace period. 'The time for Americans to act is now if they want their credit card company to treat them better,' said Plunkett. 'Consumers have about two weeks to make their voices heard.' Americans can write the Federal Reserve Board about the proposal by e-mailing directly to regs.comments@federalreserve.gov and mentioning Docket No. R-1314 in the subject line.